A gangland criminal suspected of the attempted murder of James 'Mago' Gately is now the focus of a "special policing plan". The Herald has learned that the gun-for-hire has become a primary target for gardai in the city centre because he is considered one of the capital's most dangerous criminals. He has close ties to the Kinahan cartel member known as 'Mr Flashy', as well as other organised crime gangs across Dublin. Gardai have become so concerned about the gangland thug’s activities that a special policing plan has been put in place by management at Pearse Street Garda Station. The criminal, aged in his mid-20s, will be subjected to regular searches when spotted and intelligence will be gathered on any associates he is seen with. After moving into the south inner city flat complex, the thug paid €5,000 to have reinforced doors put into the social housing apartment. The Herald can also reveal that neighbours of the city centre-based thug have been warned by gardai to avoid getting into "petty disputes" with him because he is so violent. "This guy is believed to be behind the shooting of Mago last year and possibly two other gun attacks since," a source told to the Herald. "His neighbours have been warned not to get involved in petty disputes or rows with him because he is likely to lash out, possibly with a gun. "He is that dangerous. He will use a gun for any reason, even a minor verbal row." Detectives are also close to building a comprehensive case against the thug and his arrest over a number of serious criminal investigations is imminent. He is chief suspect for the 'Mago' shooting, in which the Hutch mobster was shot five times. 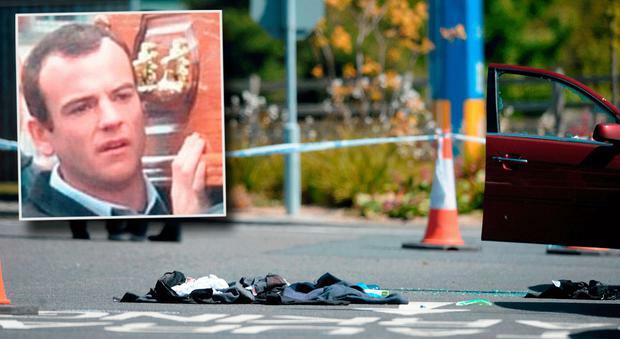 The city centre criminal is also a suspect in the murder of Robert Sheridan, who was shot dead in Ballymun in October. Gardai also suspect the violent criminal was also behind a spate of non-fatal shooting incidents in the Ballymun area over the summer. Among the victims was an innocent young woman who was shot in a kneecap in July. The gangster was previously arrested last August for a botched murder attempt on ‘Mago’. He is considered a “main and active participant” in the Ireland’s newest gangland feud after he took sides opposed to Owen Maguire, who was shot multiple times in an attack in Drogheda that left him paralysed. ‘Mago’ Gately (30) was shot in the neck while sitting in a car at the Topaz Garage in Clonshaugh, north Dublin, on the afternoon of May 10, 2017. Robin Schiller and Ian Begley Detectives are investigating two aggravated burglaries in separate counties in which pensioners were terrorised in their homes. Ken Foy A major search operation for firearms was carried out by gardaí at a field close to the home of a gang boss who is due to be released from prison. Robin Schiller Gardaí missed almost all detection targets set by the Policing Authority last year, which has been described as a "significant concern" by the oversight body.